There are a few truths every city-dweller knows to be true: rent is high, space is limited, and bed bugs are alarmingly common. The thought of the latter alone is enough to make you consider burning your bedding. There are, however, some statistics that may help put your mind at ease depending, of course, on which major city you live in. Orkin, a major pest control company, released its annual list of the most bug-infested cities in America on Monday. 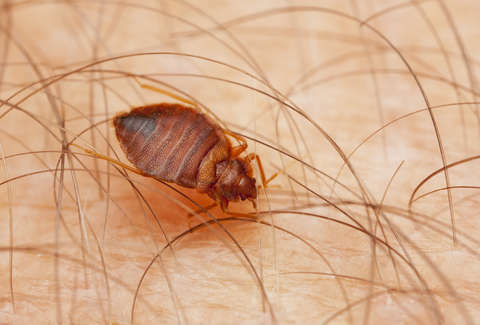 You may have assumed a city like New York or Los Angeles, where bed bug infestations often make headlines, would take the top spot, but you’d be wrong. For the third year in a row, the report names Baltimore as the most bed bug-infested city in America. The Charm City was No. 1 last year, up nine spots from the previous year. Doesn’t seem so charming anymore, does it? Not far behind are Washington, DC and Chicago. According to the 2018 “Bugs without Borders Survey,” conducted by the National Pest Management Association, there are three places pest professionals encounter bed bugs most often. They are single-family homes (91%), apartments or condos (89%), and hotels or motels (68%). On average, hotels spend about $6,383 on each bed bug-related incident. For the full top 50 list, check out Orkin’s report. Just be prepared for the bed bug nightmares that are sure to follow.